This morning around 4 am a person who has been very near and dear to my heart and the person I contribute to helping me to see what life is all about JACKY WILCOX was woken suddenly to a raging fire on the outside patio area of his home. 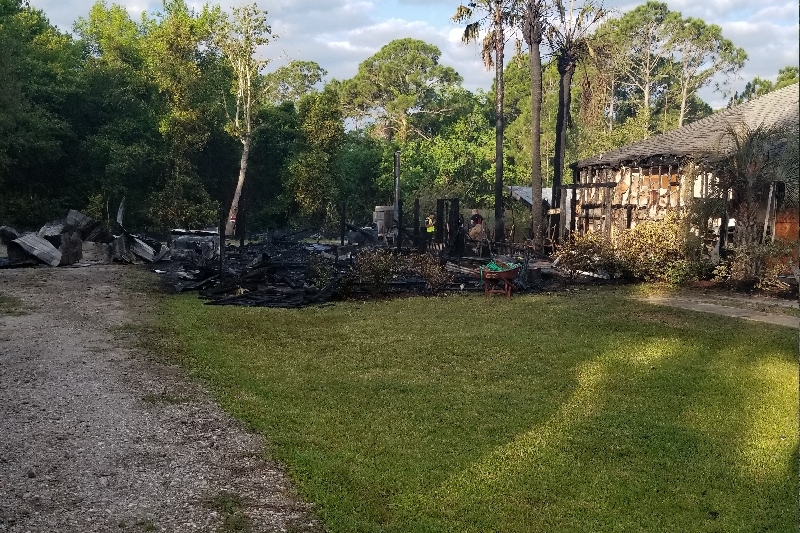 Thank the good Lord up above the he and his beautiful girlfriend Kristie Buffington were able to grab a few personal items before the house was over taken by flames and in that one instant they are left homeless and distraught. For those of us who really know Jacky you know how he loves people and tries to help anyone he can. We would really like your support in helping them get back on their feet for they weren't able to salvage hardly any items and as of right now just have the clothes on their backs. You can check out South Walton Fire Rescue Facebook page for more details and more pics and I'm gonna post more photos as well. So as we good southerners do (and maybe a few Yankees ha ha jk) when our neighbor is in need we are there to pick them back up and let them know we got you. Thank the good Lord from above they made it out alright but mentally it is devastating. If you need anymore details you can text ben at (850) 687-1595. Thank you for your support and remember hug and kiss your loved ones life can change instantly! Thank you and GOD SPEED! Jacky, we hope this helps and know that your friends in Mississippi love you!